You know you’re Southern if you love a monogram. 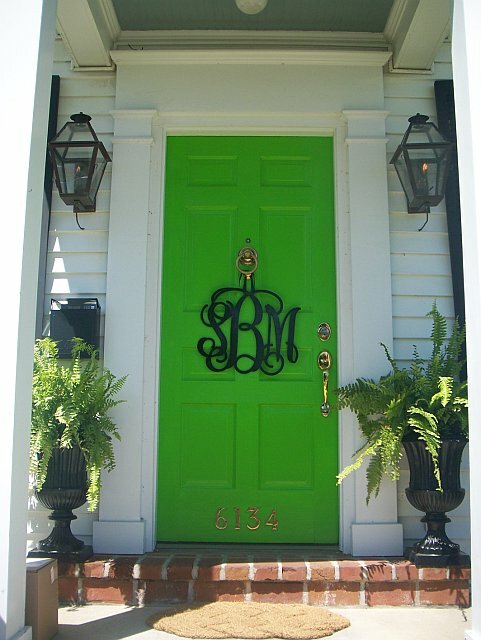 Monograms are staples around any good Southern home. I love monograms on pressed shirts, pillowcases, bath and beach towels, sweaters, totes, coffee mugs, etc. You name it, I like it monogrammed. 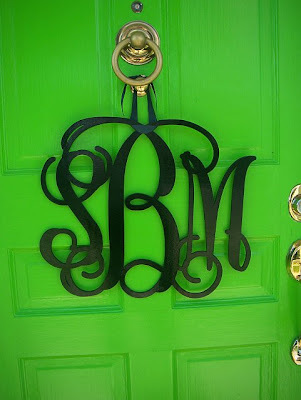 So, imagine my pleasure when I discovered this custom door décor featuring what else but a monogram. Don’t you just l-o-v-e it? 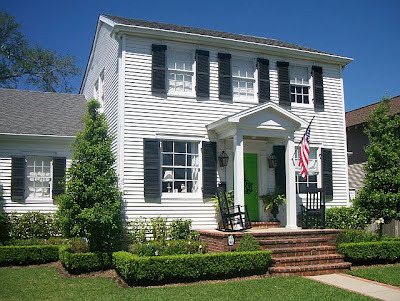 I pass by this charming home daily on my way home from work. It is situated in Lakeview only a block or so from my school. 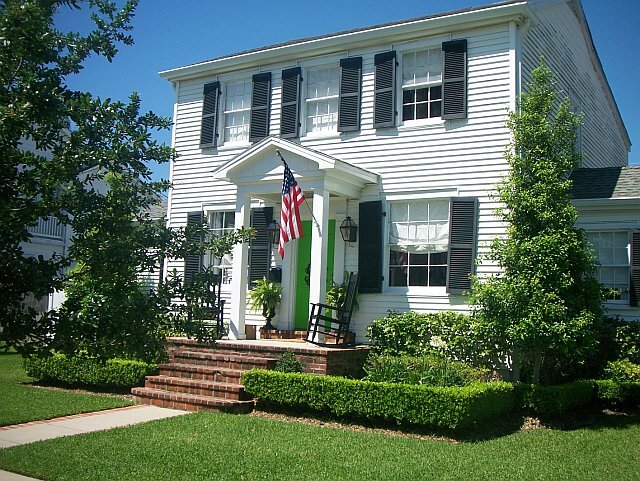 I love the clean white color of the house. 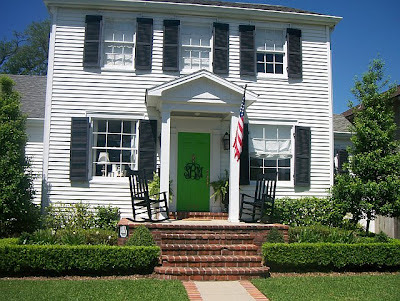 Moreover, I am in love with the pop of green of the front door. The black monogram of the homeowner makes a great statement as the perfect complement to the Southern charm of the home. 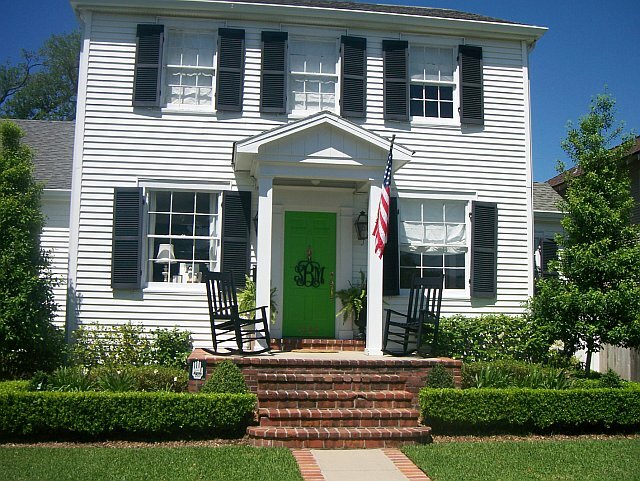 The home and landscape are magazine perfect-as in Southern Living perfection! A couple weeks ago, I was speaking (aka discussing our fav shows on Bravo!) 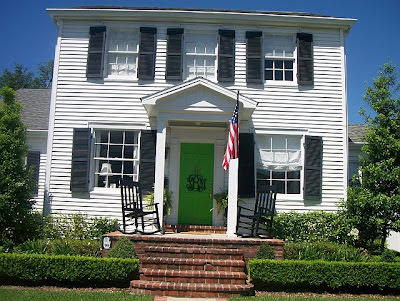 with my BFF neighbor Shane about this very house and its original door décor, and lo and behold, Shane knew the lady who resides in that very house. Shane quickly contacted her and sent me her email address. I then contacted her just to make certain she would be willing to have her front façade featured in a future blog post of mine. I was elated when she said “of course”. The homeowner then told me that she received the monogrammed door piece from a friend as a birthday gift and suggested I check out the website, Southern Proper Monograms. Wow! I am in love. Check out this site, and I am certain you’ll be smitten too. Now, what can I order? I love that house! Perfection. I wonder what the interior is like. Did you get to go inside??! That's all you need--an additional place to shop. NOT!!! Y'all know I gotta have one of these! OMG! Loves! 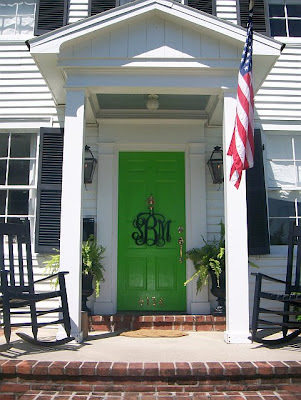 Been looking for a good "S" for our front door, maybe the full monogram would be better. LOVES!! I love these....ordering one soon. Such an awesome home.